Narrative: Used by Ricky Anderson. 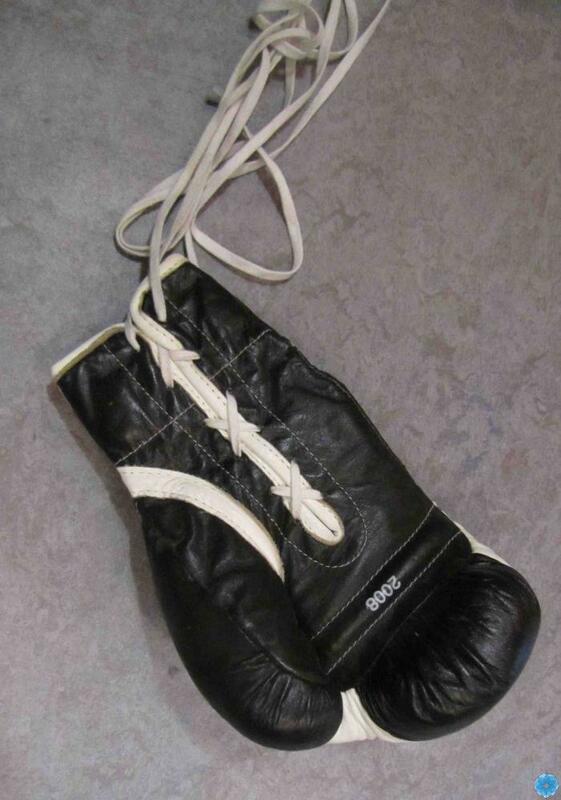 Description: One boxing glove with medium padding. Black and white with white laces on the palm side of the glove. White lining on the inside and white numbers printed on the palm side.